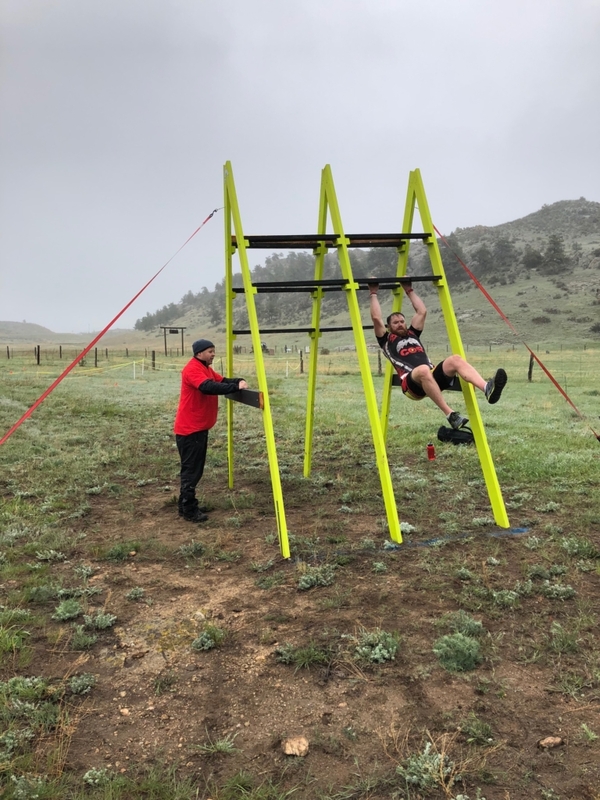 When people think about obstacle course races in Colorado they think about all the races down south near Colorado Springs and out in the mountains near Breckenridge and Copper. Northern Colorado has long since been an underserved population when it comes to these races despite the interest in places like Fort Collins and all of Wyoming. 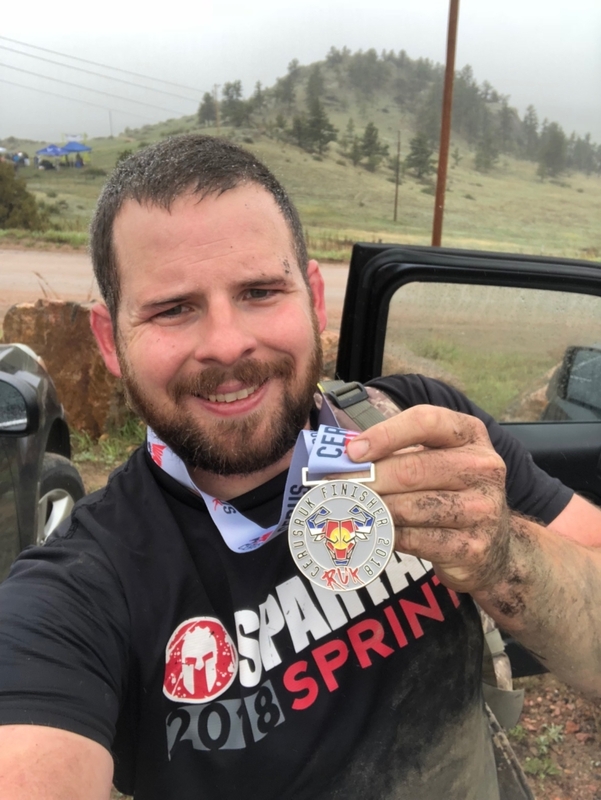 Chris Johnson and Cerus Fitness aim to change that with their unique event about 30 minutes north of Fort Collins Colorado. CerusRuk is a 5-mile obstacle course race through a yak farm where racers are required to wear a 30lb rucksack as they traverse the course. This race was a unique blend of OCR, a ruck event, and a few Ninja Warrior style obstacles. 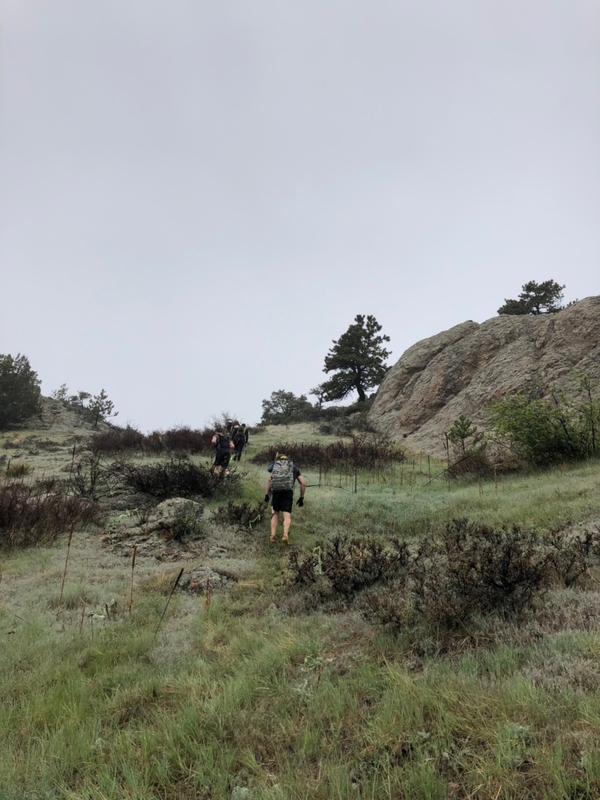 For those who braved the cold and rain this past Saturday morning, you got to witness the birth of a new style of racing in Northern Colorado. The race venue was a yak farm in Livermore Colorado. It had been very dry all week long and the race director had considered wetting the course before the first wave. This was until a band of rain decided to move in and soaked the course overnight and throughout the morning. It was a chilly 40 degrees at race time and it did not warm up past 45 until well into the afternoon. The festival area was very small and had just enough room for three sponsors, three team tents, a food truck, and the required safety and medical personnel. The premiere sponsor was Air Force Special Operations and they were out in force. They had a tent set up with a bomb disposal unit and lead several fitness competitions after the race for prizes. They also put together a Swag bag for each runner that contained a shirt, hat, poster, sticker, towel, and several informational pamphlets. Cerus Fitness did a great job finding sponsors for this small local race. The course itself was very small and a bit confusing for runners. The design was a lollipop shape where racers started by going up and over a large hill and then completed two laps down through a valley of obstacles. There were 16 obstacles total but there were some you only did on lap I, some only on lap II, and a few without signs that had to be completed both times. There was a 50-mountain climber penalty for any obstacle failed and you were only given one attempt. There was a Facebook Live video the night before where racers could learn about the course and ask questions that were answered in real time. The main reason for the confusion was the lack of volunteers on the course. Due to the weather, there were several volunteers who did not show up and several obstacles were left unmanned. The course was marked well with signs, painted arrows, and fluorescent tape, but there were a few turns that were a bit confusing. 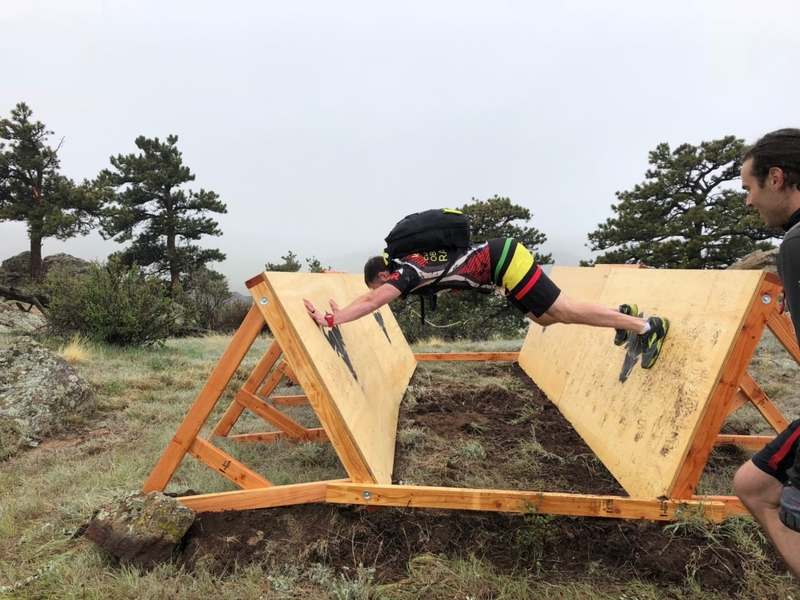 Some of the best obstacles included 2 inverted walls that runners had to traverse using their hands and feet on opposite sides, an under and over ladder wall, and a log hop across the open ground in true Ninja Warrior fashion. 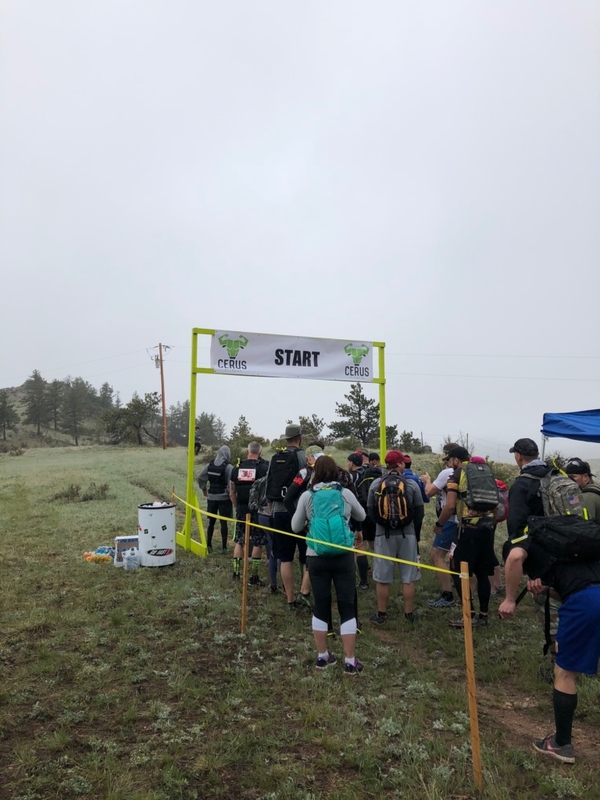 The course also included your normal 6 and 8’ walls, and barbed wire crawl through a swampy area, a bucket carry up a hill, and a slip wall at the end before crossing the finish line. One of the more difficult aspects was how wet and slippery some of the obstacles became as the day wore on. Runners could go as an individual or as a team. If you ran on your own the weight of your pack had to be 30 lbs. or more and the mountain climber penalty was 50. 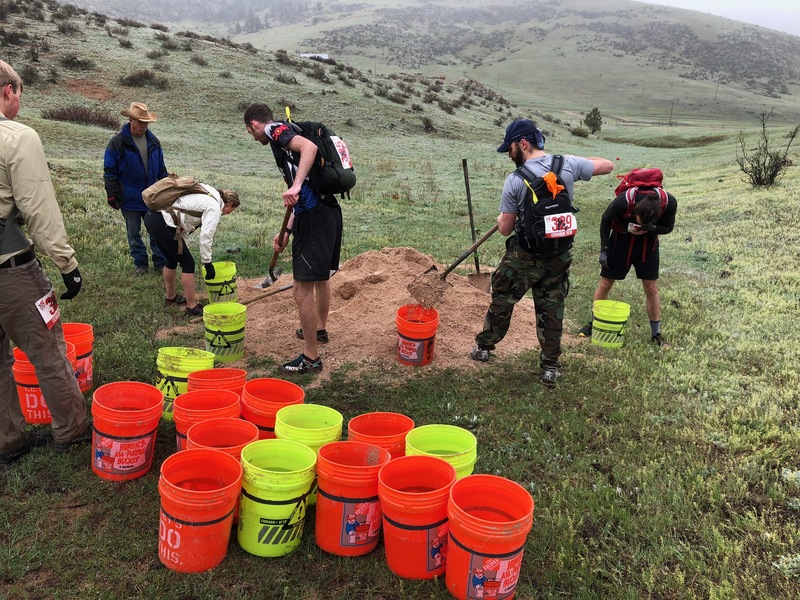 If you elected to run as a team you could distribute the weight amongst the team’s different rucks and the penalty was only 30 mountain climbers, but they had to be done by the whole team if anyone person failed the obstacle. Waves were let off in 10-minute increments to prevent any congestion on the course. However, with the multi-lap design of the back of the course, a few obstacles did get backed up as large teams moved together to complete them at the same time. The festival area was abuzz with participants for a few hours after the race as they competed in fitness events for prizes and ate BBQ from a food truck. The party may even have gone on longer if the generator had not stopped working and the music been able to play. Racers eventually moved the party over to Horse and Dragon Brewery in Fort Collins to redeem their free beer coupon after completing the race. For being such a small race, just under 100 participants, Cerus Fitness put on a great event. CerusRuk 2018 would receive a 4.3 out of 5 this year. The only major issues would be the electrical failure of the generator, the cold and wet weather they could not control, and the volunteers that ended up not showing up. They grade out very high with their creative blend of OCR, rucking, and ninja style obstacles as well as their new branding and medals. Cerus Fitness will be putting on another race later this year in October and can be found here: http://cerusfitness.com/cerusluv-2/. 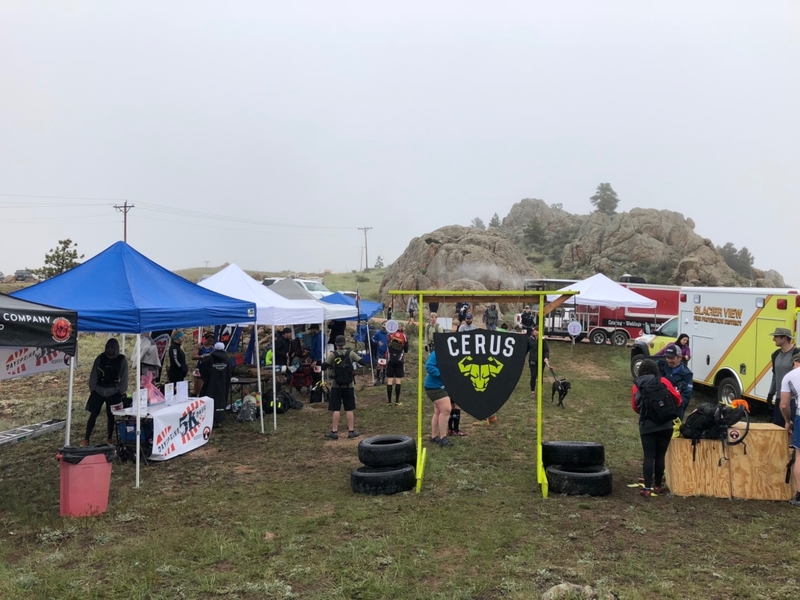 If you are looking for something a little different in Northern Colorado, look no further than a CerusRuk race.